David J. Frank, was born to Robert and Dorothy (nee Bertha) Frank on April 08, 1949. David is survived by sister, Kathy (Mike) Dwyer and brother Mike (Mary). He is preceded in death by sister Patty (Ron) Marx. Raised on the East side of Milwaukee, Dave attended Saint Roberts and Dominican High School (Class of ’67). He began mowing lawns in his Shorewood neighborhood on Downer Avenue at the early age of 10. By the age of twelve, he was already caring for more than 30 neighboring homes. He liked to boast that he was the only one at school who had a Federal ID number and business insurance! Throughout the next five decades, Dave’s company, David J. Frank Landscape Contracting, Inc., continued to grow and prosper. The largest firm of its kind in the state, the Germantown-based company employs more than 300 professionals working out of 2 main offices and 6 dispatch locations throughout southeast Wisconsin. Founded in 1959, David J. Frank Landscape Contracting, Inc. is celebrating its sixtieth anniversary. The company will now be led by eldest son, David Robert Frank and the next generation team that Dave groomed for the future. He left us with the words, saying ‘I owe so much to so many.’ He loved his employees and clients alike. David met high school sweetheart Cheryl Touchett in 1965 when she began helping him with his business. They were married from 1973-2000. Together they had four children, David Robert (Britt), Megan (Aaron) Foley, Michael (Becky) and Lindsay (Kory) Keeney. They raised their family on Little Cedar Lake in West Bend. In 2000, David met Jane Marie Wolf (nee Williams) who had two children, Ari (Yuliya) Wolf and Sidney Wolf. In 2002, the couple celebrated the birth of their son, Christian John Frank, who David referred to as his fountain of youth program. The blended family of seven children and six grandchildren, Addy and David Frank, Grayden, Daisy, and Bodhi Foley, Wendell (and soon to be) Ruth Frank brought David great joy. He was proud of all of his children and their accomplishments. Dave married Jane in 2006 and they settled into their Fox Point neighborhood where they would make lifelong friends. In their twelve year marriage, every day was an adventure. Dave and Jane worked together at the office, but also shared many interests. Dave’s “Casa Verde” home in Orlando, Florida allowed family, friends and clients a place to vacation. The Disney parks brought out the kid in Dave, who enjoyed showing others how to sprint to obtain a Fast Pass so that not a minute of park time was lost. Dave was an avid scuba diver, logging more than 1500 hours underwater. Diving Palancar Reef, Belize, Bonaire, the Virgin Islands and more, he enjoyed keeping detailed logs on sea life. An avid runner, he loved his 5K work outs up and down Beach Drive. Tennis was a passion in his adult years both on court and his trips to the US Open for 21 consecutive years, including 2018, where he traveled by wheelchair with oxygen to experience the opening of the new Louis Armstrong Stadium. Broadway theatre brought the couple to New York nearly every other month. He could proudly say he saw Hamilton 3 times with the original cast! Central Park, Bryant Park and the High Line were regular stops, where he enjoyed giving anyone who was within reach, a history lesson on landscape architecture. Weekly date nights brought him to the Downer and Oriental theaters for independent films. Monthly movie group allowed for stimulating movie conversation and an occasional movie out with his sons for a ‘shoot ‘em up’, balancing out the black and white subtitled films. He leaves this earth, having seen nearly every film that is a current Oscar nomination. Frequent travel allowed him to spend time with family and friends, see new landscapes and recharge his batteries as he liked to say. 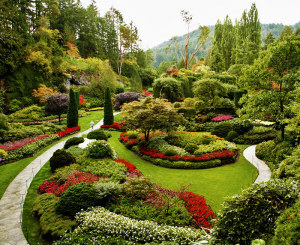 Central Park, Versailles and Butchart Gardens were talked about often. And last, but not least, he loved entertaining at home with friends and family throughout the course of his life. David was a generous, caring, community-minded, enthusiastic, hardworking entrepreneur who had a hunger for adventure and a quest for knowledge. He was well liked, respected, and will be greatly missed by all who knew him. David passed away peacefully with loving family by his side, Saturday morning, February 9, 2019 at 6:43 am. He was 69. Visitation will be Sunday, February 17, 2019 from 1-6 pm at the Becker Ritter Funeral Home, 14075 W. North Ave., Brookfield, WI 53005. A chapel service will be held at Forest Home Cemetery (2405 W. Forest Home, Milwaukee, WI 53215), on Monday, February 18, 2019 at 10:00 am followed by a graveside committal service at 11:00am. Donations to Central Park Conservancy, http://www.centralparknyc.org/ or your favorite green space appreciated.